Tetrandrine is a bisbenzylisoquinoline alkaloid known to exhibit anticancer activity against different cancers. 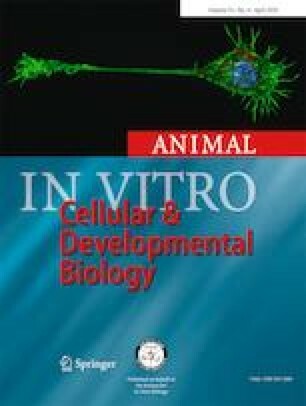 In the present study, the cytotoxic effect of tetrandrine isolated from Cyclea peltata on pancreatic (PANC-1) and breast (MDA-MB-231) cancer cells was evaluated in vitro with an attempt to understand the role of tetrandrine on the generation of reactive oxygen species (ROS) and caspase activation. Results demonstrate the dose- and time-dependant cytotoxic effect of tetradrine on both MDA-MB-231 and PANC-1 cells with IC50 values ranging between 51 and 54 μM and 22 and 27 μM for 24 h and 48 h of incubation respectively. In addition, treatment of MDA-MB-231 and PANC-1 cells with tetrandrine showed the shrunken cytoplasm and damaged cell membrane in a dose- and time-dependant manner under the microscope. Also, tetrandrine treatment revealed an elevated levels of reactive oxygen species and increased activities of caspase-8, -9 and -3 confirming the apoptosis of cells through both extrinsic death receptor and intrinsic caspase activation. Therefore, the present study suggests the apoptosis of cells with the activation of caspase pathways mainly intrinsic pathway as a downstream event of tetrandrine-induced ROS generation. Hence, reactive oxygen species-mediated caspase activation pathway may be potentially targeted with the use of tetrandrine to treat breast and pancreatic cancers. The online version of this article ( https://doi.org/10.1007/s11626-019-00332-9) contains supplementary material, which is available to authorized users. Senior author was supported by University Grants Commission, New Delhi, India [No. F.15-1/2012-13/PDFWM-2012-13-GE-KER-13766(SA-II)]. Authors also acknowledge Board of Research in Nuclear Sciences (BRNS), Mumbai, India (No. 35/14/40/2014-BRNS/1118) and Department of Science and technology (DST), India (EMR/2016/001734), for bearing a part of consumable cost.